Since the Internet Corporation for Assigned Names and Numbers (ICANN) has rolled out top-level domains in past few years, every new business is endeavoring to master the domain game, found on the Web. A perfect domain name that matches your company’s name and is easy to pronounce is quick to grab the attention and has better chances to outmaneuver your rivals. Investing a large sum of capital up front, or changing domains down the line is undeniably painstaking and expensive. To avoid bearing such costs and time-consuming processes, revolutionary leaders always do proper homework on their preferred domain name before they actually land into the world of the Internet. However, there are a plethora of factors that can bring businesses to a point where they are bound to change domain name. This change can be beneficial in some ways, however, it can have direct impact on your search engine ranking. Before getting into these dos and don’ts, let me cite the three most common factors that drive businesses to adopt this change. Availability of user-friendly domain: At times, businesses do not get the preferred Internet domain that they want for their company. Suddenly, they come across a domain that they wish to have, and that’s the reason why they gear up for domain change. Change in Business: Some people plan to start a new business, and want to have a URL that explicitly portrays who they are and what they do. Multiple Domains under One Roof: Some of the businesses create multiple websites that deliver same offerings, and now they want to converge all these domains into one. Fix all Backlogs: It is important to ensure that the new domain that you have preferred to migrate your website was not previously registered by anyone else. If it was, you need to make sure that it doesn’t carry any penalties or issues. 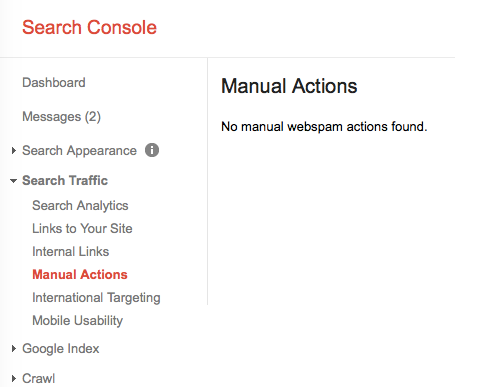 To do so, you can make use of Google Webmaster Tool and view the Manual Actions page. If the domain name is free from all such issues, you can confidently initiate the migration process. However, if it requires some manual action, you need to make the desired changes and submit a request for reconsideration. Once the made request receives a green signal, you can migrate your content to your new domain. Migrate Your Content: It is good to start with a small portion and not to move all the content at once. Start with a sub domain as it will give you a fair idea about how this is going to impact your site on search engine ranking. Moreover, once you have moved the content to the new domain, do not forget to apply 301 redirect to the pages that you have migrated, so that Google knows where your website is. Moreover, to ensure that all the traffic is directed to the new domain, it is important to set up server-side 301 redirect in your .htaccess file. If you’re overlooking this step, you might foil up in some troubles and Google may ban your site for keeping duplicate content. However, if you have changed the content and it is not copied from the existing website, create 404 pages for the content that is not same as the older website’s pages. Make Google Fully Aware About Your Move: You can simply do this by signing up to the Google Webmaster Tool to add and verify your new domain name. This will notify Google that you have moved the content to the new domain. Once you have applied 301 redirect and notified Google about your migration, you are required to check that no inbound and internal links are broken or corrupted. You need to replace all your internal links to point them to your new domain. Also, keep a track of your website’s analytics in order to prevent issues. Following these steps will help you curtail decline in search traffic and drop in rankings.